Andrew Combs today released the video for new single ‘Blood Hunters’, premiered by the prestigious Rolling Stone Country, The Ry Cox directed film is cinematic in scope with nods to sci-fi and horror, not too distant from Netflix hit show ‘Stranger Things’ and an example of the gifted songwriter’s exciting musical direction on the hotly anticipated album, Canyons Of My Mind, released on April 7th, 2017 via Loose in Europe. Already catching the attention of UK media with previous release ‘All These Dreams’, including publications Mojo and The Line Of Best Fit, Canyons Of My Mind will no doubt be Andrew’s UK breakthrough. The 11-song set was co-produced by Skylar Wilson (Justin Townes Earle, Caitlin Rose) & Jordan Lehning (Rodney Crowell, Caitlin Rose) and recorded at Battle Tapes Studio in East Nashville, TN and is some of Andrew’s strongest songwriting to date, already receiving support from NPR, American Songwriter and Paste Magazine. 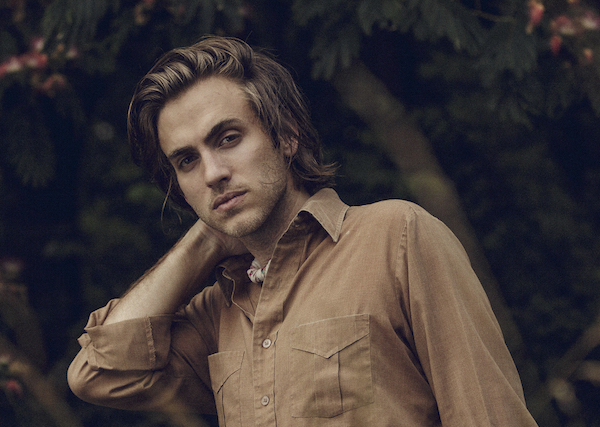 A Dallas native now living near the same East Nashville airport immortalised in the opening sequence of Robert Altman’s country music odyssey, Andrew Combs is a singer, songwriter, guitarist, and heir to that 1975 film’s idea of the Nashville troubadour. Well established in the East Nashville singer-songwriter scene alongside friends and contemporary artists Aaron Lee Tasjan, Erin Rae, Caitlin Rose, Nikki Lane, Andrew and his fellow indie artists are creating an alternative Nashville music scene. One which is coexisting completely independently from the glitzy dizzying glamour of mainstream music institution Music Row, born in the dive bars of East Nashville – these young talented musicians are capturing the voice of an American generation. Andrew shows musical maturity on Canyons Of My Mind, tackling political issues on ‘Dirty Rain’, he expresses environmental concerns, commenting on the gentrification and the destruction of America’s industrial and agrarian Heartland. Elsewhere Andrews writes elegant love songs and mood pieces, amounting to a rounded and crafted piece of modern songwriting. Combs has also announced the initial U.S. and U.K. tour dates in support of the album, with appearances at the SXSW Music Festival in Austin, TX this month. Please see tour dates below, with more to be announced. Canyons Of My Mind will be available digitally, on CD and 180g vinyl on Loose, available to pre-order now via PledgeMusic.